Socks make great stocking stuffers. And my all-time favorite place for socks is Little Miss Matched. Their motto: "Nothing matches, but anything goes!" 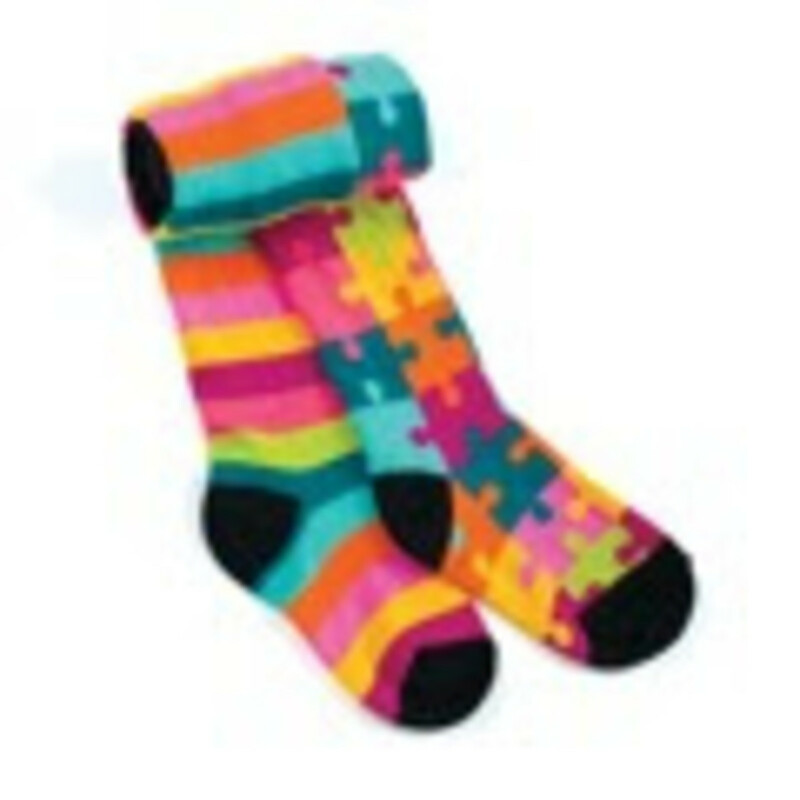 The idea is socks can clash in a fun and fashionable way--no more worries about hunting down a matching pair. I love the spin-o-rama, toddler size ($25) a tub full of 9 coordinating socks (spin-o-rama is also available in mom and big kid sizes). Babies can get outfitted with the baby socks ($20) set. Little girls can wear dresses and skirts all winter long thanks to warm and funky tights like the Zany Puzzle tights ($18). 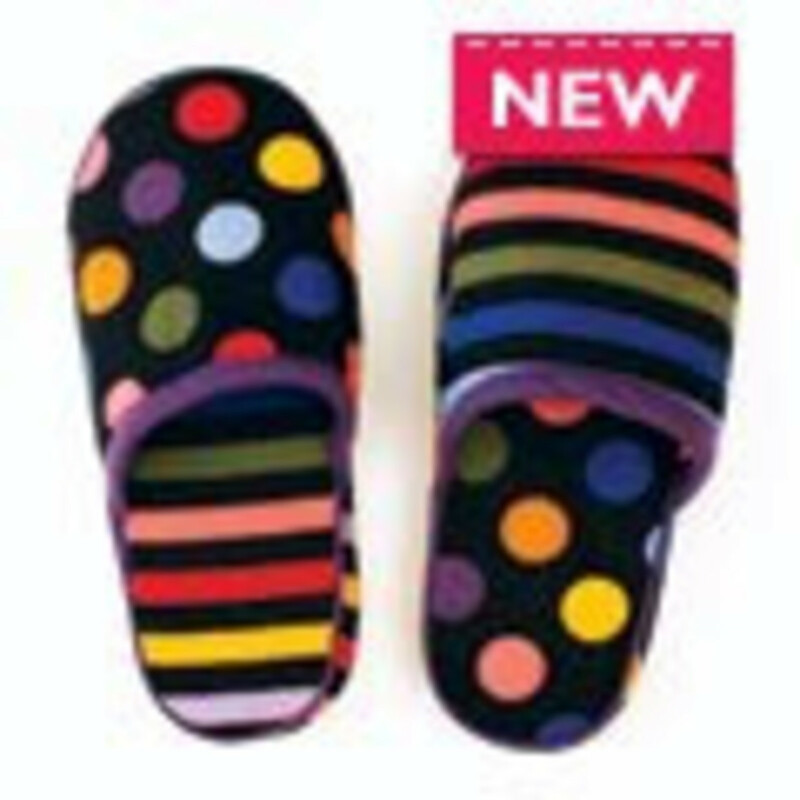 And boys will be all too happy to slip on these black zany flannel slippers($7--an awesome price I&apos;d say!). To make the stocking stuffing a bit more economical, use promo code MTR3NDS10 and get 10% off the website from December 7th until December 31st.